We may have all heard that blogging is important and highly recommended for your website. It boosts your website’s online presence, builds trust among customers, enables you to post fresh content and thus keep your website ‘alive’. But how and why so? You’ve probably heard about this one and I will try to explain how blogging affects your website traffic. Search engines regularly crawl websites for content updates. If your website content is not regularly updated, search engines may ‘forget’ it. So even though your content may be relevant for a certain keyword, your pages may not be listed among Google results. However, the aim of blogging needs to be more than just fresh content. It needs to be relevant and well researched in terms of keywords. If your blog post keywords are well researched, search engines will tend to list your pages, exposing your content to more potential visitors. Useful tip: Try to link your new blog posts to the old ones. That hugely helps your SEO and your older blog posts never really get too old. What to do once your blog post has been published? Well, this is an easy one – share it on your social media accounts and get your followers to notice you and hear your voice. If you add social media sharing buttons and thus enable your readers to share your content, you will make your content available to an even larger audience. So, by combining your blogging and social media efforts, you can get new followers and what’s even better, you can establish a voice within and outside your industry. Useful tip: accompanying text introducing your blog post needs to be as engaging as possible, try starting with a question and use strong words like “why”, “what”, “who”, and “how”. If your blog posts are well targeted, if the keywords are well researched and if your content is relevant, you will not just get more website traffic – the increased traffic will be relevant. And that’s all you need to achieve if you want to increase the number of conversions. Useful tip: Add call-to-action buttons to your blog posts. A simple ‘Find out more’ or ‘Contact us for more info’ or “Free offer’ button will be a great choice here. Blogging on relevant trends in your business industry can help you establish a great reputation for your company. If you want to position your company as an expert in a certain field, show your audience that you are following trends, and even better – that you are creating them. If your blogs address common topics or issues your potential customers might be facing, the questions they might ask search engines will lead them directly to your website. And if your blog posts provide answers to their questions, you’ll certainly build trust with your visitors. That will help you establish a reputation of a trusted advisor, not just a provider or seller. Useful tip: Use your blog posts to engage with your visitors and incite discussions amongst readers. Invite them to comment and discuss different topics. As we can see, blogging can help your company in many ways. 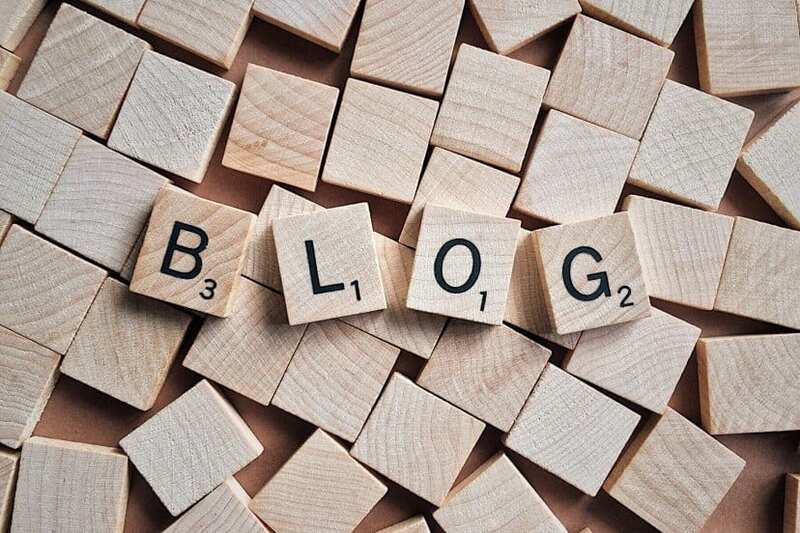 We have talked about this topic to our clients a number of times and when building a website for Woodsford Tradebridge Ltd, the decision to add a blog page to the website turned out to be a great one and it still gives great results in all areas mentioned above.